The flip side is a bit monotonous. 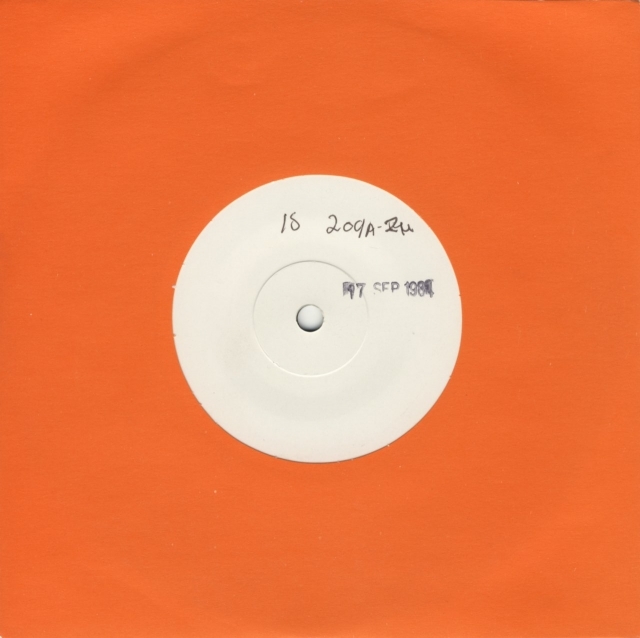 This very rare rare test pressing has a white label and is dated 17 September 1984. The A-side has the regular mold number IS 209 A-2U-1-1. The B-side is more interesting. A typical test pressing would be one-sided, but this item has FB 7 encarved above a strikeout LPFB and three concentric end grooves.